A combination of chiropractic care and staying well-hydrated are two ways to keep your spinal discs healthy and pain-free. But, don’t forget to stay active between your adjustments. And here is one more tip to slow down Father Time- daily exercise and stretching. 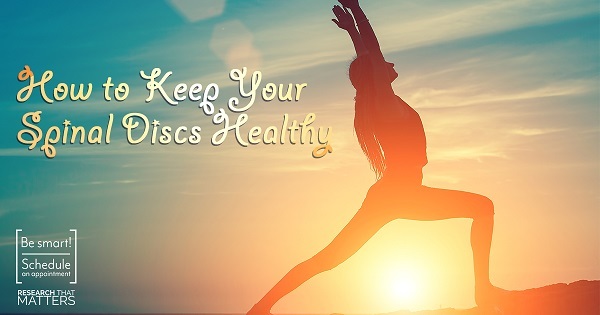 Exercise and stretching will not only keep you fit and trim but can also potentially slow down the degenerative changes of your spine keeping you healthy and active for many years to come!